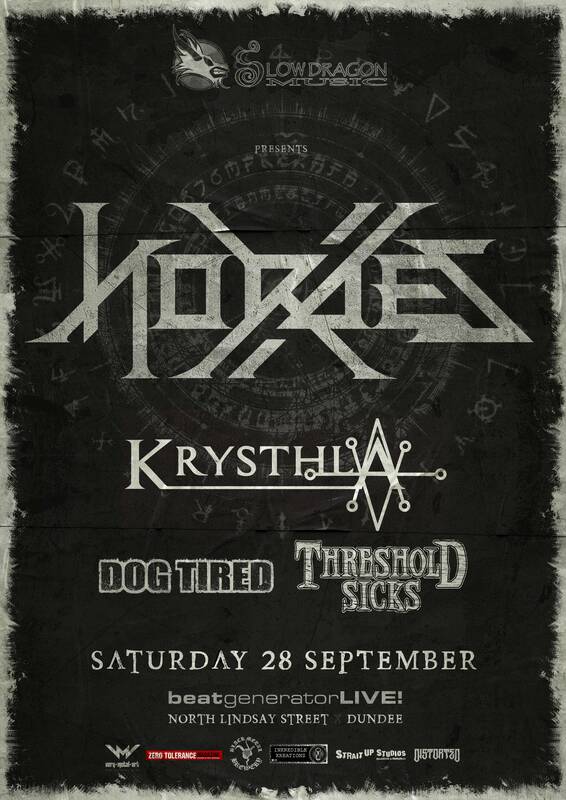 Hordes X 2019 tickets now on sale! Electronic tickets for Hordes X 2019 are now on sale to the public! The re-branded event – celebrating of ten years hosting Hordes Of Belial – is set to be held at its regular home of Beat Generator Live in Dundee, Saturday September 28th. The lineup is already looking fantastic with just three bands announced so far; Krysthla, Dog Tired, and Threshold Sicks! This time, there’s no booking fee! As a ten year birthday present from us to you, not only are we keeping entry at the original price of £10 one last time, but we’re also absorbing the booking fee, so you only pay face value. These e-tickets are paperless, which means you only have to bring your purchase confirmation on your phone. It’s also nice for the trees! Posted in Latest News and tagged Beat Generator Live, Black Metal Brewery, British Metal, Death Metal, Distorted, Dog Tired, Hard Rock, Heavy Metal, Hordes Of Belial, Hordes X, Inkredible Kreations, Krysthla, Metal, Metal Concerts, Metal Festivals, Metal Gigs, Metal News, Rock, Rock News, Scottish Metal, Slow Dragon, Slow Dragon Music, Strait Up Studios, Threshold Sicks, UK Metal, Very Metal Art, Zero Tolerance, Zero Tolerance Magazine.